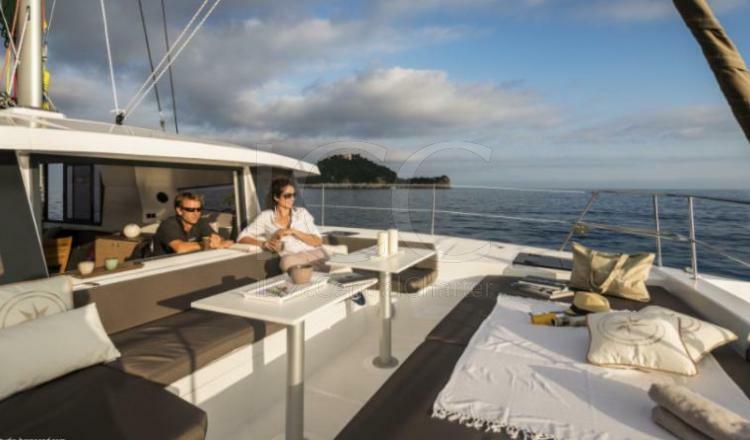 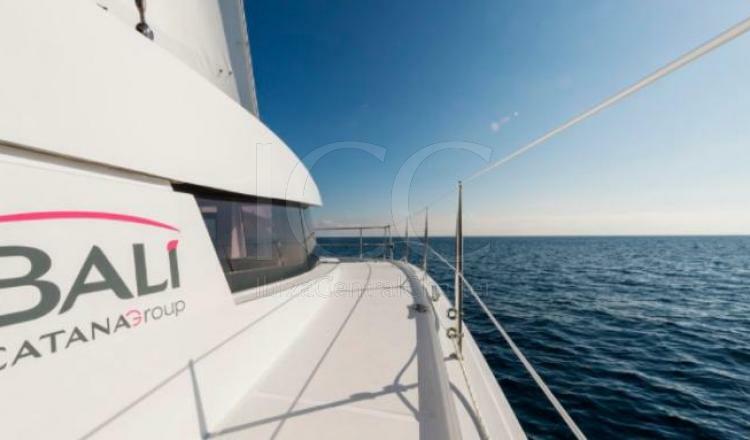 This catamaran is ideal to discover the islands of Ibiza and Formentera in groups of friends, couples or families. 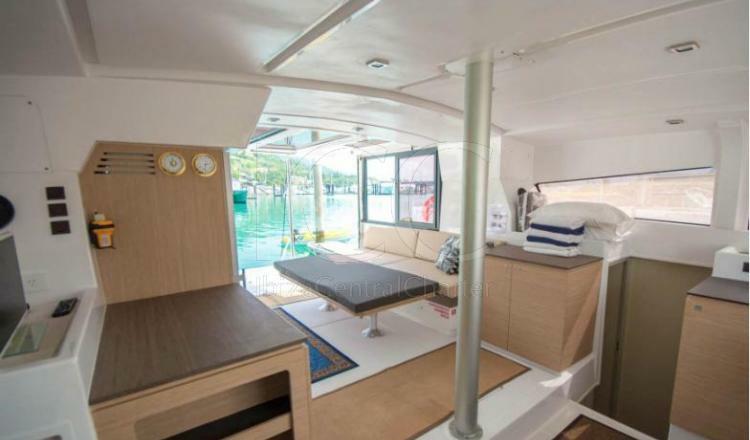 Available to be rented with or without a skipper. 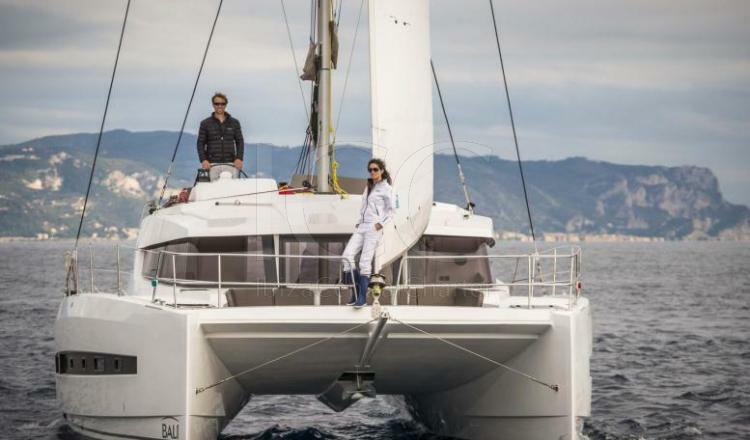 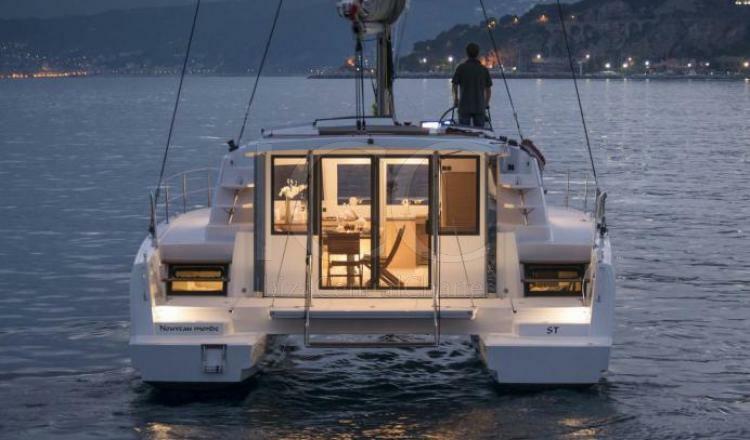 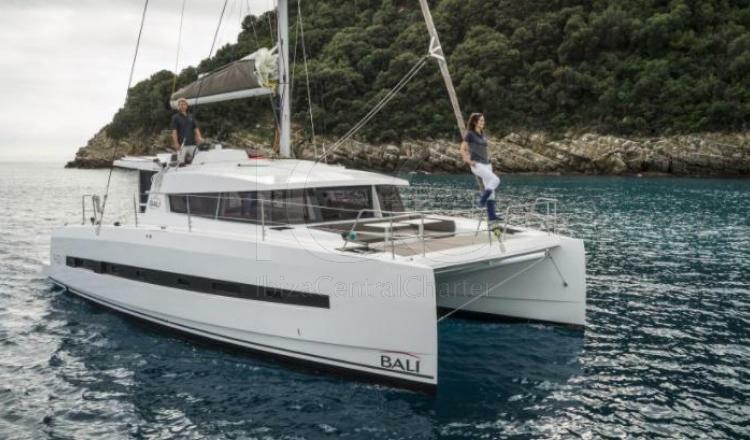 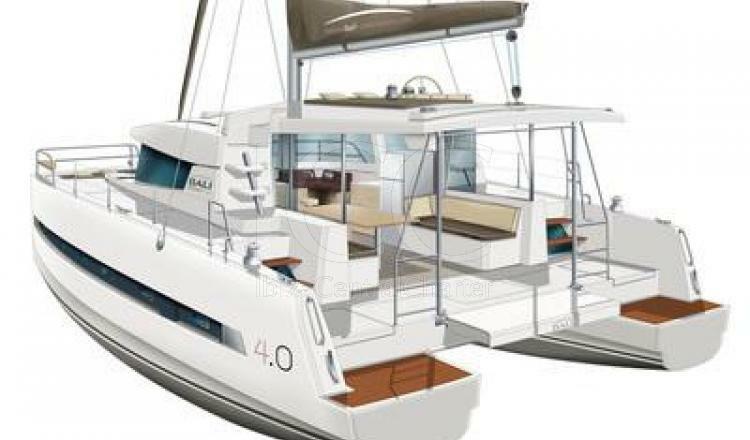 This catamaran Catana Bali 4.0 has revolutionized the world of charter with this special design, offering all the necessary amenities in a boat of 40 feet. 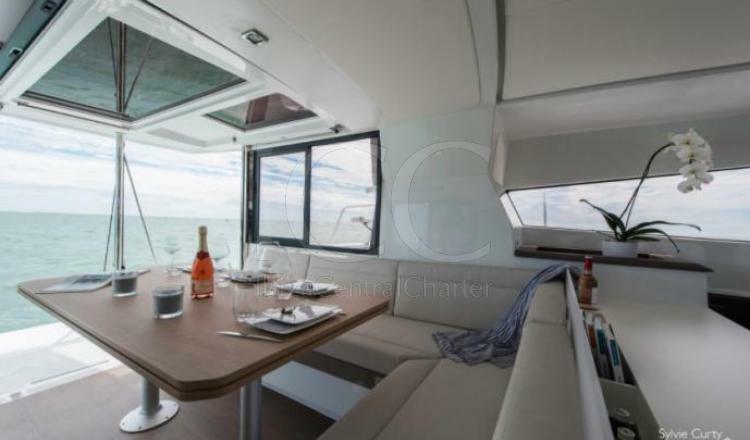 Available for day charter with capacity for up to 12 people or for chartered overnight stays for up to 10 people. 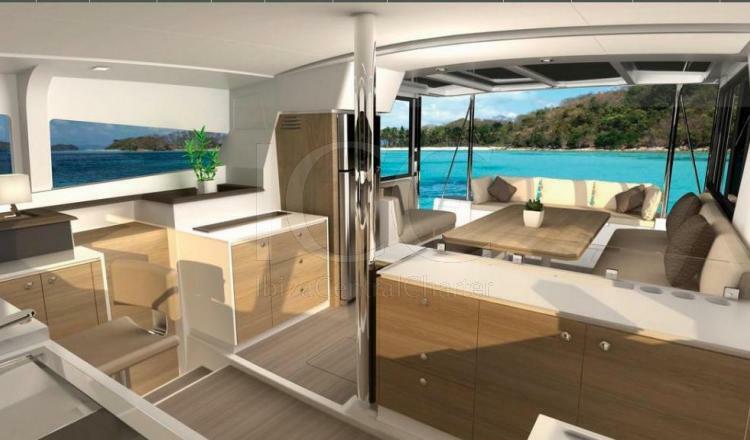 In the interior area there is a space where the kitchen, living room and dining room meet. 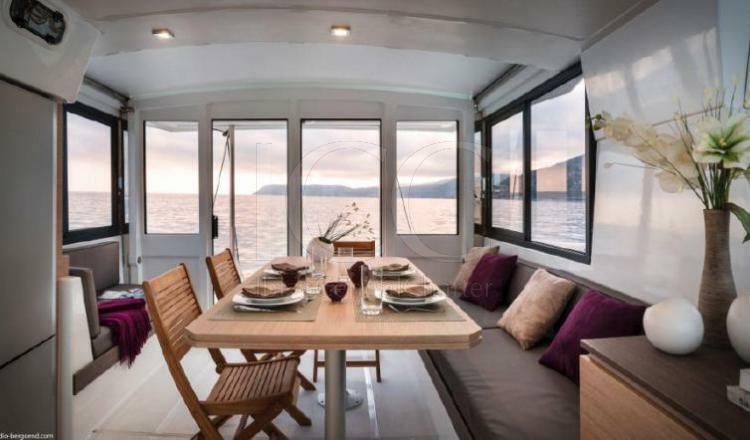 It has folding windows, thus obtaining a closed room or a lounge open to our liking.The kitchen is equipped with a 3-burner stove, a gas oven, a fridge and a freezer located in front of the dining room with a table that comfortably accommodates 8 guests. 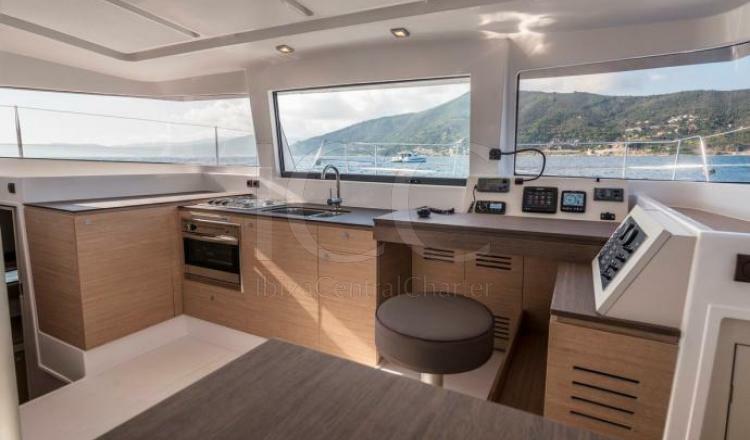 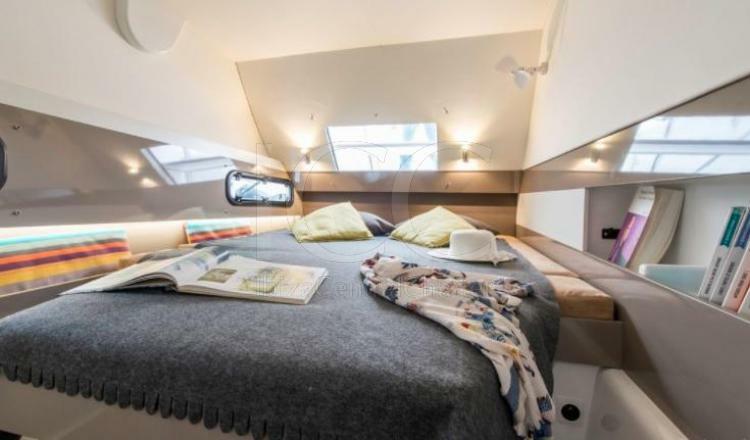 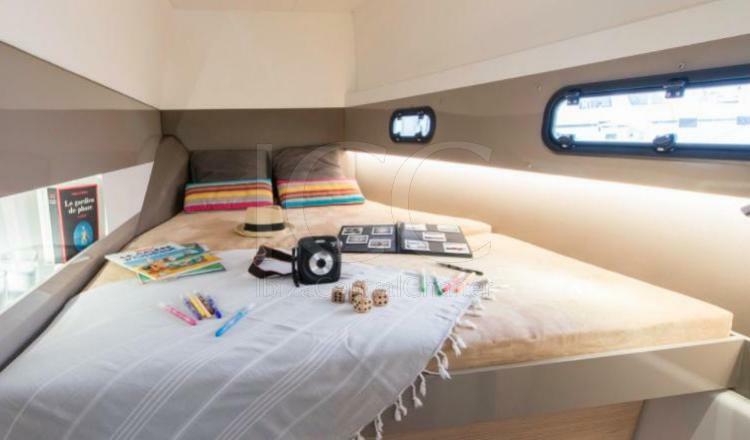 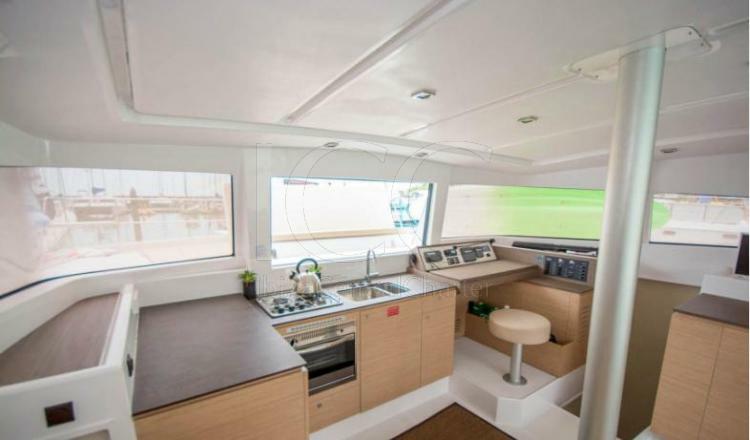 This catamaran has 4 spacious double cabins with large storage in their closets, drawers and shelves, as well as four bathrooms. 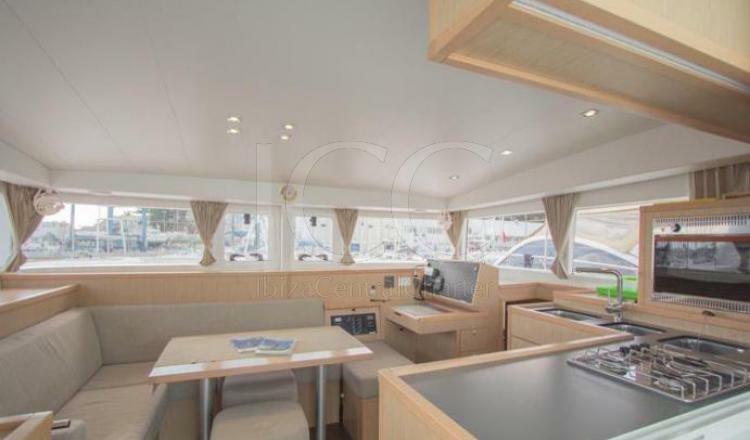 The whole interior has air conditioning and music equipment. 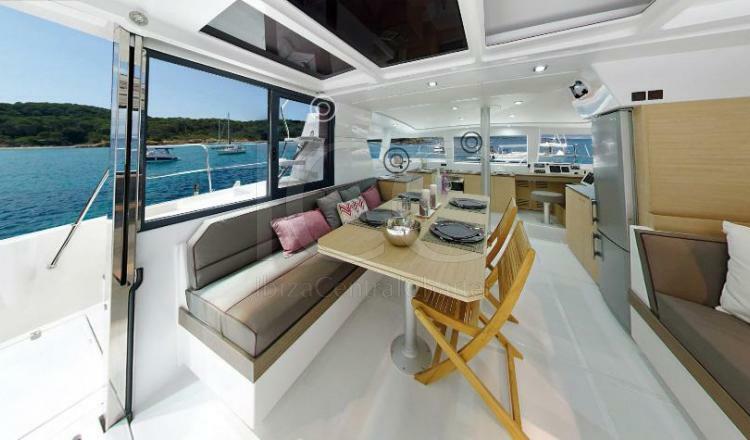 Outside, the bow area, becomes a large outdoor lounge with sofas and a table to relax and eat outside and large areas of solarium.